"I love, love, love VIA!" My team is still getting the hang of it, but they are doing great! I am VIA's greatest fan! Now you can experience VIA with the flexibility and simplicity of cloud computing. 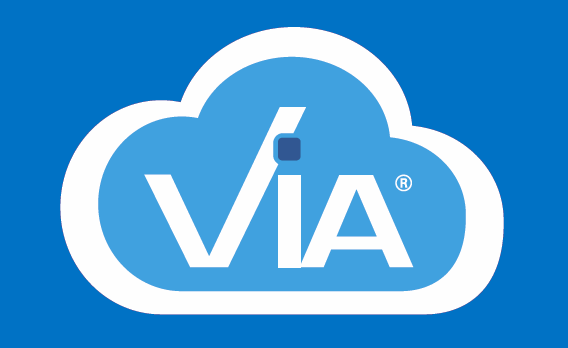 With VIA in the cloud, you get ALL of the benefits of fully featured and integrated practice management software without the issues of installing or maintaining it on your own computers. Your hospital data safely resides on remote cloud servers and you have access to work from any workstation, laptop, or tablet, from anywhere. VIA Practice Management Software gives veterinarians the tools they need to manage their entire practice, without the hassles. Our integrated SOAP notes, labs, imaging, digital whiteboards, and treatment flowsheets provide the ideal solution for creating a true paperless veterinary practice. VIA’s fully featured practice management system captures accurate records with ease. Our workflow based design is quick to learn and simple to use, from patient check-in and charting to capturing your treatment plans and client billing. Get advanced practice management software tailored to your specialty. Learn about our optimized features for small animal, ER, referral, specialty, equine, ambulatory, and multi-site hospitals. Our dedicated Account Managers and Technical Support Specialists are here when you need help, providing onsite training, data conversion, network configuration, and full hardware and software technical support. "We have been using VIA for 5 years now and run in a paperless environment. With 30+ doctors and over 100 lay staff members, VIA’s electronic medical record system makes communicating with clients and referring veterinarians very easy. We integrate multiple DR and US systems as well as a CT and fluoroscopy. We integrate multiple vendor in-house lab machines, as well as multiple reference labs, and utilize VIA’s digital whiteboard to do all of our treatment sheets. We have been very happy with our experience with VIA." "After using numerous other practice management systems, I chose VIA because of the features and easy user interface. The system has been very user friendly and quick for our staff learn. No other company has provided the level of support that we have received from VIA. I would highly recommend VIA to any one looking to upgrade their software, especially if looking to become paperless!" "I love this software. It is super easy to use and the technical support has been excellent. My trainer who helped us set up was awesome! Even though I am a solo practitioner I felt just as important to you as your larger clients. Thanks so much!"